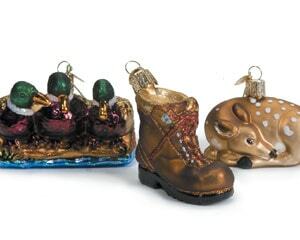 Leave it to Traverse City’s ornament emporium, Holiday Traditions, to sleuth out holiday ornaments that shimmer, shine and showcase our true North. Find hiking boots, trout, black bears, fawns, rows of ducks and more for your nature lover’s tree. $6.99+, Holiday Traditions, Traverse City, 231-941-3499.